Explains how to get the current time in a different timezone on Linux without changing the system timezone. Explains how to pretty print the output of the mount command on Linux by formatting the output using printf, awk and column commands. Explains how to make a file undeletable or immutable on Linux using extended file attributes. Even a root user will not be able to delete a file with the immutable attribute set. 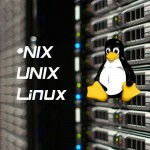 Explains how to get the expiration date of a SSL certificate for a domain on Linux from the command line using openssl. Explains how to print the Subject Alternative Name (SAN) field from a SSL certificate on a server or from a certificate file using openssl.